This month we're righting some wrongs here at Any Ladle's Sweet. 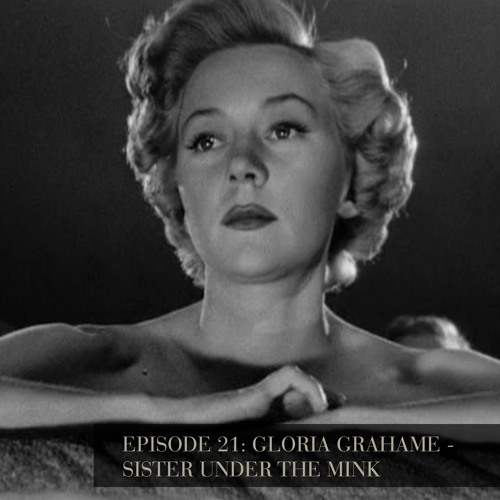 Gloria Grahame shone in support roles in many noir films, under many great directors but she references her mother as her only influence on her acting style. Negative stories surrounding her personal life overtook her talent and hard work and fact and fiction mixed into a tawdry Hollywood Babylon style mess. Gloria was a unique talent and we are here to celebrate her hard work and mesmerising onscreen presence. We discuss 3 of her finest, In a Lonely Place (1950), The Big Heat (1953), and Human Desire (1954). Sources: Callahan, D. (2008) ‘Fatal Instincts: The Dangerous Pout of Gloria Grahame’ Bright Lights 30 April [Available at: http://brightlightsfilm.com/fatal-instincts-the-dangerous-pout-of-gloria-grahame/#.WX9Yq4jyvIV]. Chase, D (1997) ‘Gloria Grahame: In Praise of the Dirty Mind’ Film Comment September/October [Available at: https://www.filmcomment.com/article/gloria-grahame/]. Curcio, V. (1989) Suicide Blonde: The Life of Gloria Grahame. New York: William Morrow and Company. Eisenschitz, B. (1996) Nicholas Ray: An American Journey translated by Tom Milne. New York: Faber & Faber. Gunning, T. (2000) The Films of Fritz Lang: Allegories of Vision and Modernity. London, BFI with Palgrave Macmillan. Hagen, R and Wagner, L. (2004) Killer Tomatoes: Fifteen Tough Noir Dames. Jefferson: McFarland. Human Desire (1954) Dir. Fritz Lang [YouTube] Columbia Pictures. In a Lonely Place (1950) Dir. Nicholas Ray. [DVR] Columbia Pictures. Ray, N. (1993) I Was Interrupted: Nicholas Ray on Making Movies Berkeley: University of California Press. Rickey, C. (2017) ‘In a Lonely Place: Film noir as an opera of male fury’ Library of America 28 June [Available at: https://www.loa.org/news-and-views/1301-_in-a-lonely-place_-film-noir-as-an-opera-of-male-fury]. The Big Heat (1953) Dir. Fritz Lang [DVD] Columbia Pictures. Turner, P. (1986) Film Stars Don’t Die in Liverpool. London: Pan Books.